Did you know you can find us and our products on Etsy and Teachers Pay Teachers? We've blogged about how we use conversation cards at family meals and we've posted pictures to Facebook and Instagram of our lunchbox notes in action, so we thought we'd make it easy for you to find those items and more! 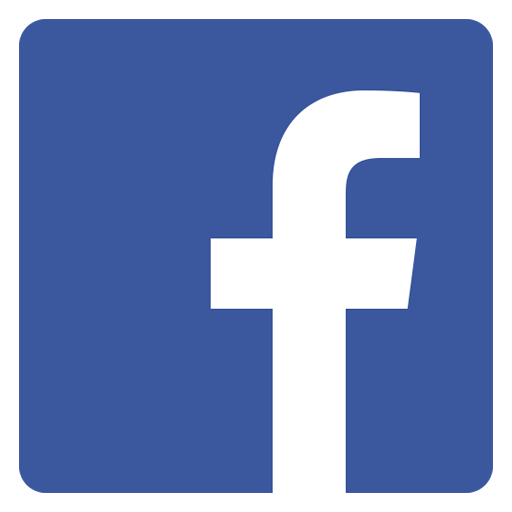 For some quick links to our shops and specific items, scroll down! GO SHOPPING FOR OUR FAVORITE ITEMS:Just click the links or on the images below to be taken directly to each items listings (clicking on the images will take you to Etsy)! Are you a teacher or a parent trying to reinforce positive behaviors through positive discipline methods? If so, check out these adorable fill-in-the-blank CAUGHT YOU BEING GOOD notes! 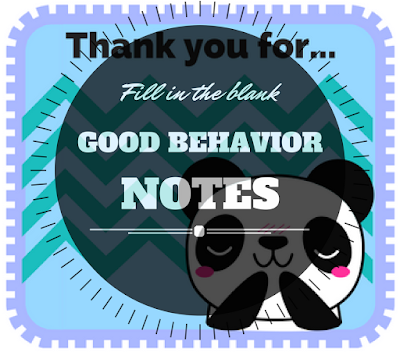 Just follow the prompts and write in the good behavior that you noted. Find them on Etsy HERE. Find them on TPT (coming soon). 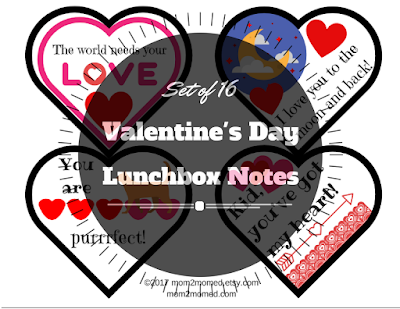 We LOVE these heart-filled Valentine's Day lunchbox notes! The set is 16 notes with 4 heart-shaped notes per page. 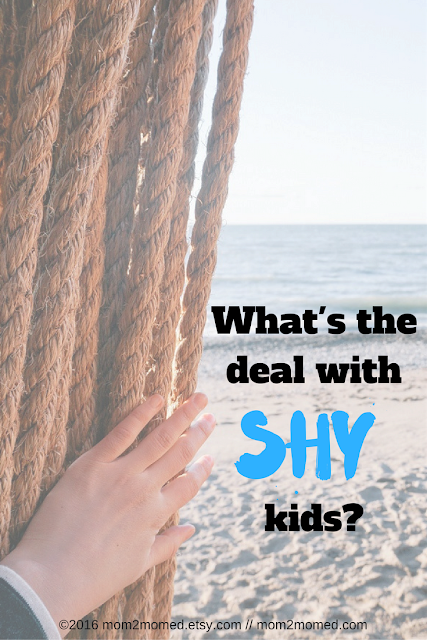 Find them on TPT HERE. 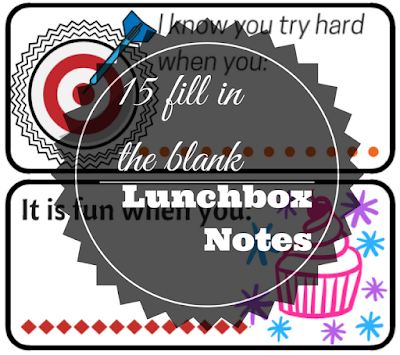 If you would rather personalize your child's lunchbox notes, this set of 15 fill-in-the-blank notes does the trick! Each note features a brief prompt with space for you to complete the thought. Gratitude is a big deal to us, and we LOVE thank you notes! 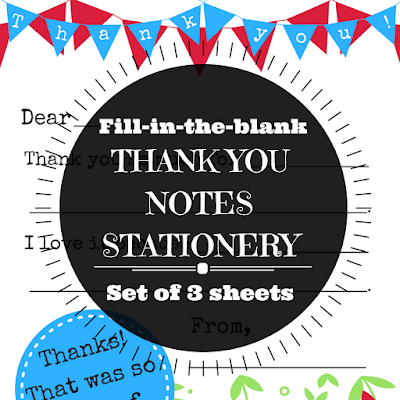 Spread the gratitude atitude with this set of super easy to use fill-in-the-blank 3-pack of printable thank you notes for kids. As busy moms, we are constantly trying to find new and better ways to stay organized and on track--ideally cute ways too! We love this set of 5 weekly meal planning sheets. 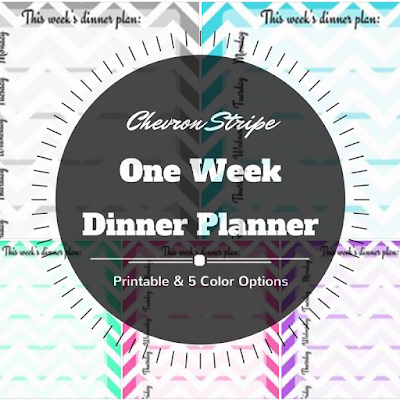 The chevron stripes and pretty colors make them perfect for displaying the week's menus on your fridge!